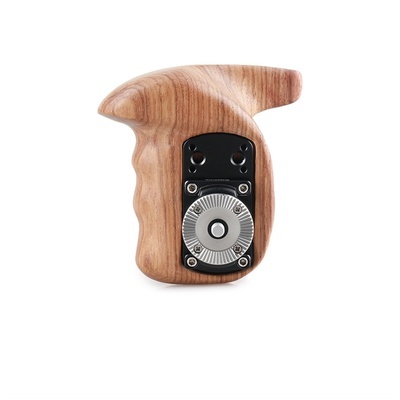 Product #45538 | SKU 1941 | 0.0 (no ratings yet) Thanks for your rating! SmallRig Right Side Wooden Handle with ARRI Rosette 1941 is extremely handcrafted rosewood handle grip, which applies in shoulder mounting system for handheld. You can adjust the position of ARRI rosette up and down within a certain range according to your need. It is lightweight and exquisite, very comfortable for holding with the smooth surface.